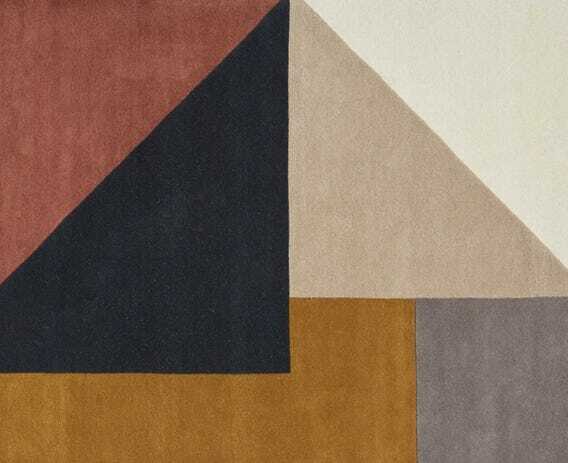 Produced from luxurious thick wool this hand-tufted rug features a timeless geometric pattern of triangles and squares in tonal shades of terracotta, navy, natural and mustard. The warming colour palette of this rug works wonderfully with exposed floorboards in a contemporary environment. 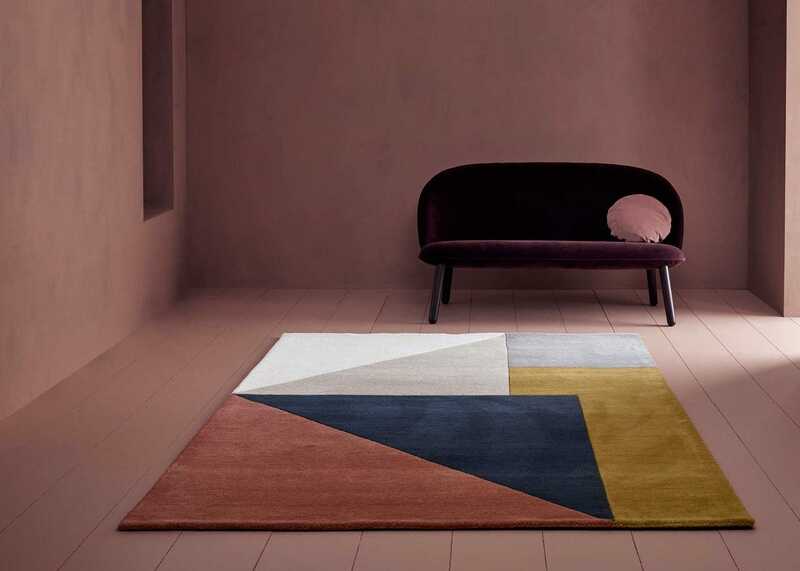 Made from 100% wool, this rug is durable underfoot. Bold geometric design combining an interesting selection of colours.